The Ark III is a personal-sized survival package that supports one person for up to three days. 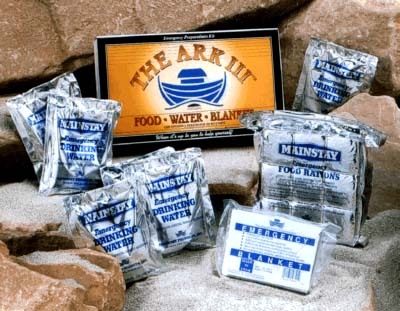 Each ARK III includes a "space blanket", plus a three-day supply of food and water. Easily stored in a classroom, locker, desk, or car, the compact ARK III can be used anywhere.